Steel and Concrete; No longer a dichotomy - Rosh Metal Ltd. Steel and Concrete; No longer a dichotomy - Rosh Metal Ltd. When people discuss benefits of using steel as the main structural element and material of any building, they usually showcase its benefits by comparing it to other types of materials. This is not surprising in a slightest as most of the people do not like crunching numbers. The information is usually presented in a premade comparative analysis where it is roughly outlined which materials are better and which are worse. It is something along the lines of “wood might be more eye-pleasing but steel has much better weight-to-strength ratio and is much sturdier and better choice” or “concrete is safer, but it is impossible to build tall”. However, there are practices that seek to combine, and succeed in doing so, the positive sides of both steel and concrete. 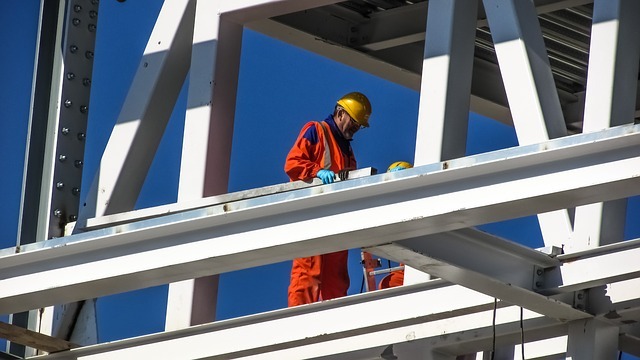 The first step of this process is familiar to anyone who knows their ABC’s of the structural steel industry; steel is used as the main structural element, but instead of H-beams or U-beams, the main support walls are constructed out of steel-plate boxes which are as fast and as simple to erect as usual beams. However, instead of leaving the boxes empty in the structural sense, these can be filled up with concrete. The idea behind this practice is that by incorporating these two materials into the structural elements, the engineers can combine the positives of both worlds while leaving steel and concrete to complement each other on their negatives sides. To understand how this would work it is necessary to remember the ways in which steel and concrete differ and why this matters. The first major point in comparison between steel and concrete is that concrete is safer than steel. Concrete requires no use of special fireproof materials and it is capable of withstanding high temperatures for much longer than steel which is usually expected to collapse under its own weight just two hours after the fire broke out. 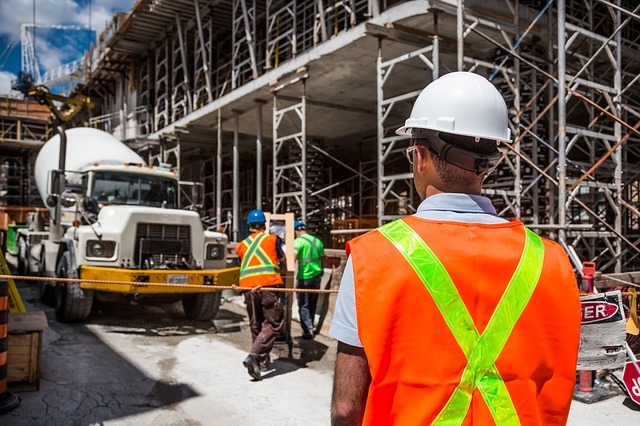 Another positive side of concrete is its price or the way it behaves on the market to be more precise since the price of concrete tends to be much less volatile than that of other materials. Concrete buildings also tend to be built a bit faster than those made of structural steel, presenting another opportunity for cutting costs. These are very good reasons to use concrete, however, why many companies and building commissioners opt for steel rather than concrete. Steel components can be pre-fabricated and simply transferred to the site and it also has the highest strength-to-weight ratio of all materials, meaning that if you want to build higher, there is no alternative to steel. Yet the new thought in structural steel construction industry is that, in some cases, building structural columns and walls by combining steel and concrete is the way of the future. Before the middle of the 20th century, the main reason why engineers and constructors opted for this method of construction revolved mainly around convenience as steel casing gave more easily accessible structural integrity and flexibility. However, the overall efficiency of this mode of construction has remained relatively low when compared to other methods such as steel reinforced concrete or simply opting for structural steel beams themselves. The first reason why concrete-filled steel plated boxes took so long to witness a resurgence in construction industry lays in the fact that the reinforced concrete made this type of structures much more efficient and better at combining the positive aspects of steel and concrete. The second reason lays in the fact that engineers have found a way around one of the crucial flaws in this construction method which rendered it rather unreliable in some cases. That problem was a local buckling of steel plates surrounding the concrete. It is time to take a look at the structural unit consisting of a concrete-filled a steel plated box in order to understand why this buckling could occur. The steel box is essentially a cube containing concrete and it is a unit that is supposed to support its own weight as well as the weight of upper floors and their infrastructure. These upper floors exert vertical pressure on the concrete filled box. What happens, in this case, is that the pressure coming from above is not really equally shared among all components of the steel box. The concrete would take the weight of the segments directly above it, and the steel walls of the box would take the weight of the components directly above them, resulting in a much smaller surface area dealing with similar amounts of pressure. This used to cause the steel plates to buckle, usually locally, somewhere around the middle, compromising the structural integrity of the whole unit. This buckling problem led to the practice where concrete-filled steel plated boxes were used only to serve as short support columns instead of being used in taller structures. Now, however, concrete filled steel plated support columns can find their applications even in larger structures as it has been found out that local buckling issues can be alleviated or even completely removed by adding clamping to the edges of the plate bearing the most stress, and adding extra support to areas where buckling is expected to occur in the future. This is very good news for future building owners as buildings raised in such way tends to last longer and be sturdier. With all this in mind, it should come as no surprise that the new One World Trade Center building features a concrete core at its center supported by steel structures. This all can lead us to a conclusion that we may be about to witness a very important shift in the way our buildings are being constructed as the industry might make a turn towards combining steel and concrete much more than it has been done until recently.